When you have a nasty cold and its associated elements like sore throat, mild fever and cough, we know the drill that you’re through! Common cold is the most infectious and frequent disease that takes a toll on everyone. And, there are talks and prescriptions from others that Vitamin C will help cure your cold; and it gets you thinking if this is true. 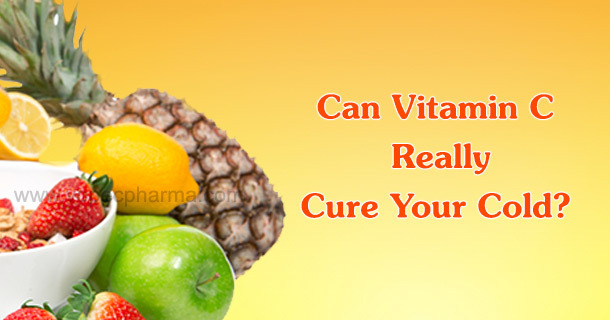 Well, read on to know if Vitamin C dosages can cure cold…. It all started when the Nobel Prize winner Linus Pauling published the book on cold prevention using vitamin C. To back this theory, there were no reliable proofs then. So, how is this special vitamin related to one’s health? Being a rich anti-oxidant, vitamin C indulges in forming collagen, the essential vitamin to keep one’s skin healthy and supple. Thus, it fights against skin disorders such as scurvy—it is of course a great immune system booster. That being said, a research was conducted as to test whether this vitamin C also stimulates the white cells to fight against common cold. Disappointingly, any vitamin C supplement lesser than 200 mg did not have any effect over common cold or its frequency—but, it definitely reduced the severity and duration of a common cold. How much Vitamin C should I have? There are cases well-known where certain vitamins, minerals and proteins do not suit people and they develop an allergy. That being the case, it is essential to know if vitamin C will do good for you and what’s the minimal-maximum dosage you must go with. 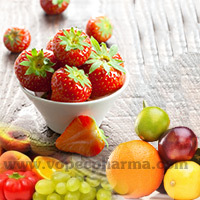 Studies reveal that natural vitamin C sources like fruits and vegetables are more than enough for a human being. Having extra supplements is really not needed, until your body deserves more reserves of Vitamin C and only when your doctor wants you to! So, what is your take home message? Intake of vitamin C will in no way reduce the frequency of colds and you will get them as frequently as you did before. Of course, there are potential benefits that your suffering duration is lesser and the consequences that usually narrow down to fever and head ache will not happen by any means. Also, vitamin C will help prevent cancer and cardiovascular attacks.